As the days get shorter and the weather gets chillier, we find ourselves craving a cozy, warm place to put up our feet and enjoy some warm cider. That being said, since you’ve put so much work into making your home fresh and bright for summer, chances are the cozy factor just isn’t all there at the moment. Here are some of our favourite ways to get your home fall ready this year! This fall season we’ve found two super easy ways to put your own cozy spin on candles. These two DYI fall candles are a quick fix for some desperately needed fall charm in any room of your home. Cinnamon Glow: Start with a cylindrical candle (the scent of the candle is all up to you but we suggest trying vanilla). 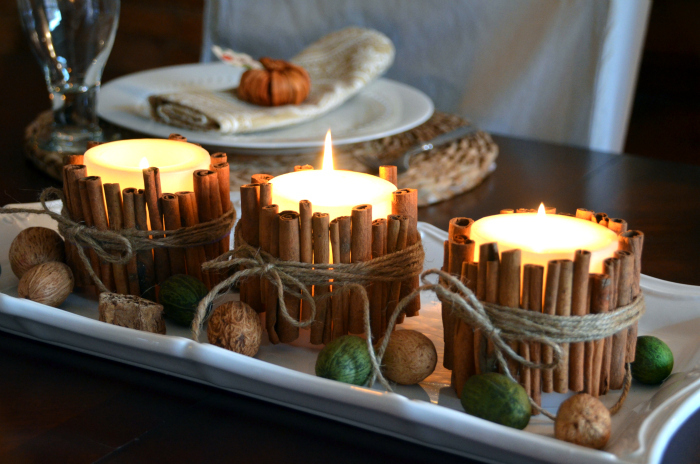 Carefully, with a hot glue gun, start attaching cinnamon sticks around the outside of the candle. Tip: Try placing them at different heights for a more rustic look. Once the candle’s sides are covered, finish it off with a twine bow. Ta-da! Twig Out: Time to venture into the great outdoors! Start grabbing all sorts of twigs from outside; small, big, misshapen, all are welcome! 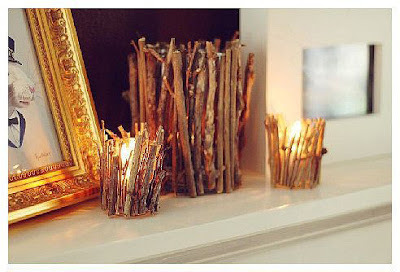 Grab a glass container that will fit the candle you’re planning on using and start clipping the twigs so they’re roughly the same height as the container. Once your twigs are ready, start hot gluing them to the outside of the container. Place a candle inside (try a pumpkin spice scent for the ultimate fall touch) and watch how the light peaks through the openings in the twigs. Instant fall sanctuary. A great way to switch things up in your home without breaking the bank is to change your accent colours. We suggest trading in your bright, summer colours for some warm, earthy tones. Colours like orange, brown and red are go-to fall colours but why not switch it up this year by including forest greens, deep purples and warm greys in the mix? Include these fall hues by trying some new pillow covers, vases, plates or even lamp shades! 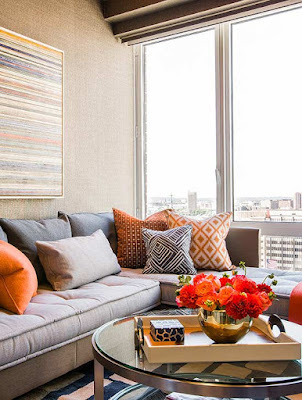 Fall is the perfect time to start adding some new prints and textures into your home. A great way to incorporate this new twist is to switch out your drapes, pillows and throws. Fabrics like tweed, velvet and plaid are perfect for the fall season! As a final touch, why not try a faux fur throw or a quilt for some added comfy, charm? 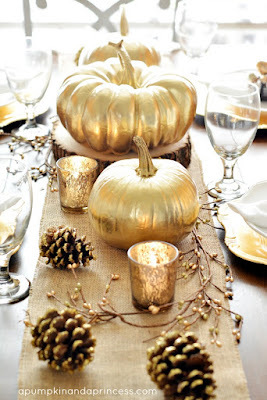 Table runners are often forgotten in the fall decor mix-up. Adding a runner with a fall print can pull together every small detail and bring a polished look to your dining room. Try adding some little pieces to your table on top such as leaves, gourds and candles to make the whole table warm and eye-catching. 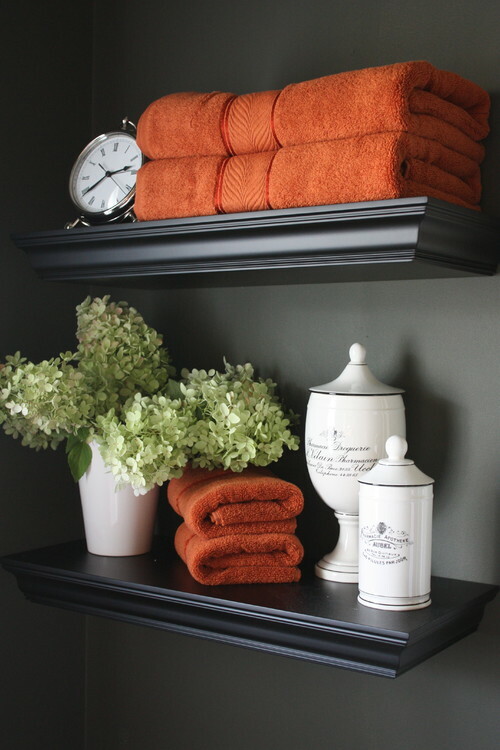 For an easy way to bring fall into the bathroom, switch up your towels! Instead of the traditional white, try some of the fall colours mentioned above. Focus on the little, important details too such as a fall-scented soap or some new candles on the counter. Every detail matters!